Researchers from Rice University and the University of Texas MD Anderson Cancer Center reveal a new two-step strategy for weakening cancer. 1 Comment on "New Two-Step Strategy for Weakening Cancer"
Our bodies have natural defenses to Cancer. 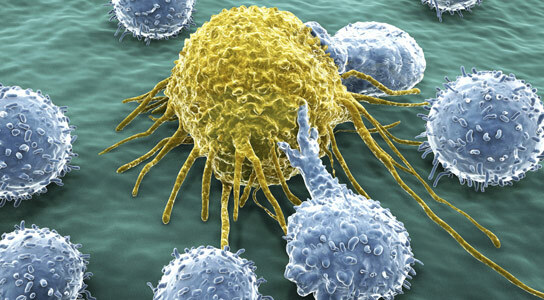 By not putting into our bodies things which promote Cancer we greatly help our bodies to stay healthy. A lifestyle with natural Anti inflammatory spices and foods (Turmeric, Oregano, Garlic, Cinnamon, basil, Cumin, Cayenne Pepper.. just to name a few items) in your spice rack are power anti cancer agents. when you are ready to live a health oriented life you’ll give up consuming animal protein the single greatest contributor to inflammation, cancer and a host of other degenerative diseases afflicting Americans.